Deadlines is Lesson 1 in Think like a Pro. And deadlines is One Scary Word. How do we transform ourselves from hobbyist to professional? How do we change the mindset that our writing is for escape or entertainment? If our goal is professional writer, how do we become a disciplined Pro? The first lesson is Deadlines. 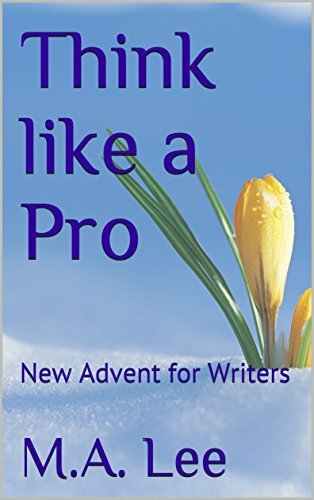 To help newbie writers achieve that goal, New Advent for Writers: Think like a Pro presents seven lessons as a guide for this transformation. Like a two-hour seminar, these lessons will seem easy, but the practical application takes focus, persistence, and clear thinking. The second chapter presents the importance of daily writing, or as Tolstoy kept on his desk: Nulla dies sine linea (One Latin Phrase). Find THINK LIKE A PRO here.